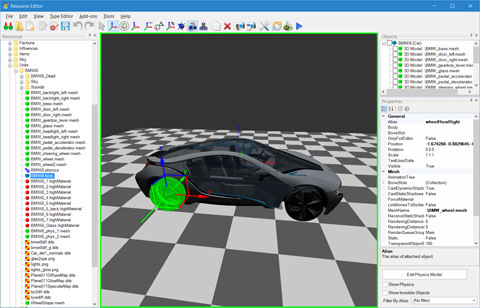 NeoAxis Group announces a new 3D development environment NeoAxis Engine version 2019.1. The environment can be used to develop all kinds of 3D projects such as computer games, visual trainers, VR systems, to visualize processes and develop windowed applications. NeoAxis Group announces a new release of its versatile 3D project development environment NeoAxis Engine 3.5. The latest version features updated editor design, a new tool to quickly import 3D models, updated example maps, as well as multiple minor changes and bug fixes.